Use our database of every college athletic coach in the country, which includes coaches from Division I, Division II, Division III, Junior College, and NAIA. No matter what level of athletics you want to pursue, we can help. 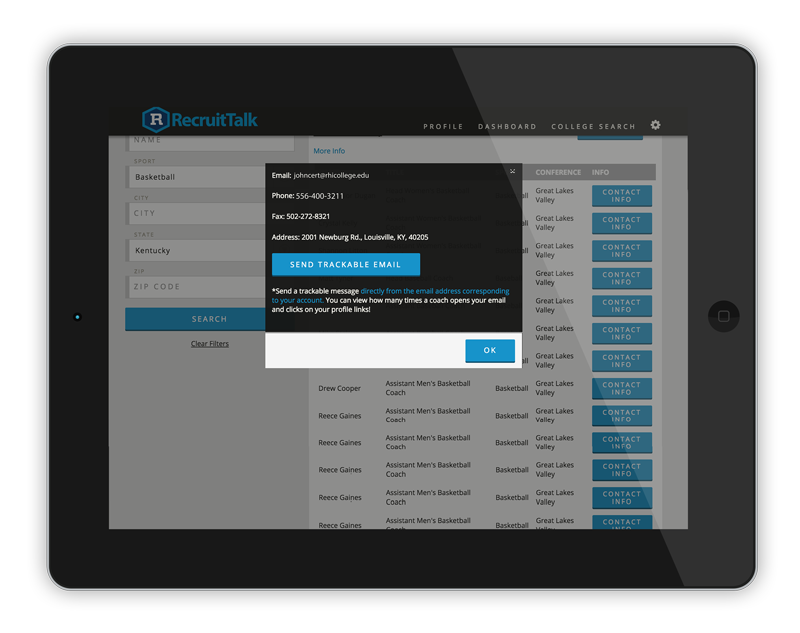 Send Them a Link to Your RecruitTalk Profile. 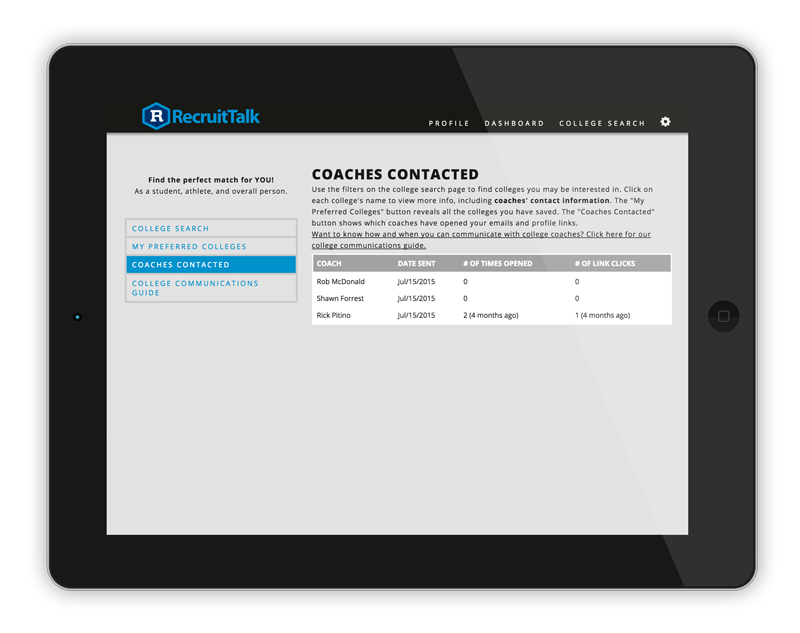 Once you find a particular school you are interested in, contact the coach from right within your RecruitTalk profile. The message will be sent direclty from the email address you have on file. That message will also be tracked! You can see how many times a coach opened your email, or clicked on your links. This will give you a true picture of which coaches are interested in you, and with which ones you should stop wasting your time.